The answer is yes, it can be, but only when used effectively, implemented by a qualified and licensed occupational therapist and when it is consistent. 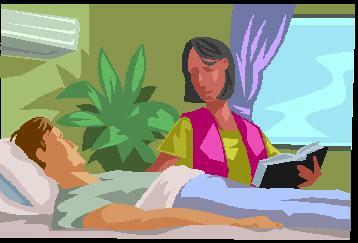 I have worked with many unconscious patients. One of the most exciting cases was a young lady who had such a severe head injury, doctors did not believe she could survive and if she did they had hard predictions for her prognosis. Another was in a coma from a different cause and also doctors gave the family the news that it was time to prepare for the worst. Both of these ladies and others came out of their coma. Both did receive some regular input and the effort certainly paid off. One client I was called in to visit was months after becoming comatosed. He was already contracted due to poor positioning and though his family tried to offer stimulation, there were certain details they erred on due to lack of appropriate training. Sadly we never obtained the appropriate go ahead from the doctors and hence I am left to wonder how he progressed. In another case, the family insisted at the outset that finance would not be an issue but finance was an issue and hence they tried to limit coma stimulation to once a week. That is not an effective implementation of coma stimulation and eventually OT was stopped due to lack of funding. I do not know what transpired with this patient but fear he might have gone the same as the person who was contracted. In short, coma stimulation is a controversial topic. However, it can be very effective when begun early and implemented regularly by a qualified and licensed occupational therapist. Preferably the OT needs to be trained in NDT and Sensory Integration. What is your experience with coma stimulation? We'd love to hear what brings you to this blog and whether the post has answered your questions.